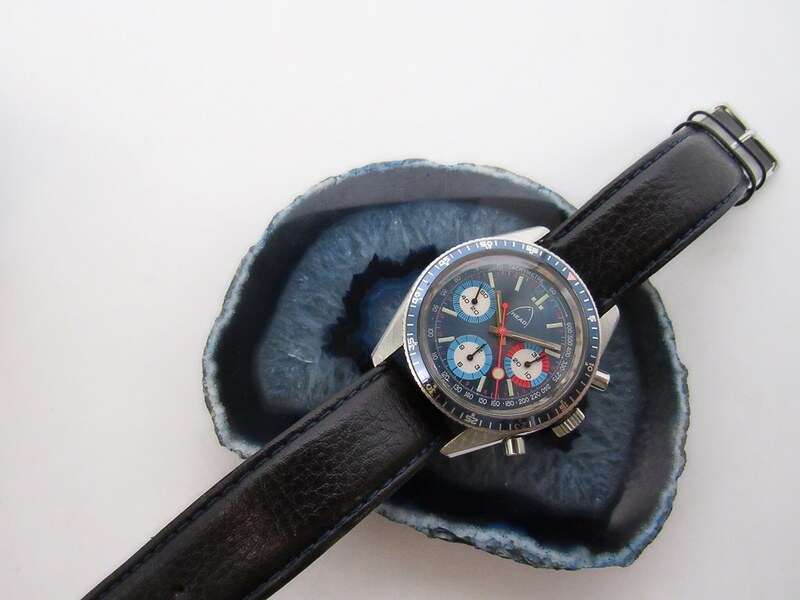 For your consideration this very rare tropical lollipop Head branded triple Chronograph made in the seventies. It houses the famous manual-wind Valjoux Cal. 726 that was recently serviced. 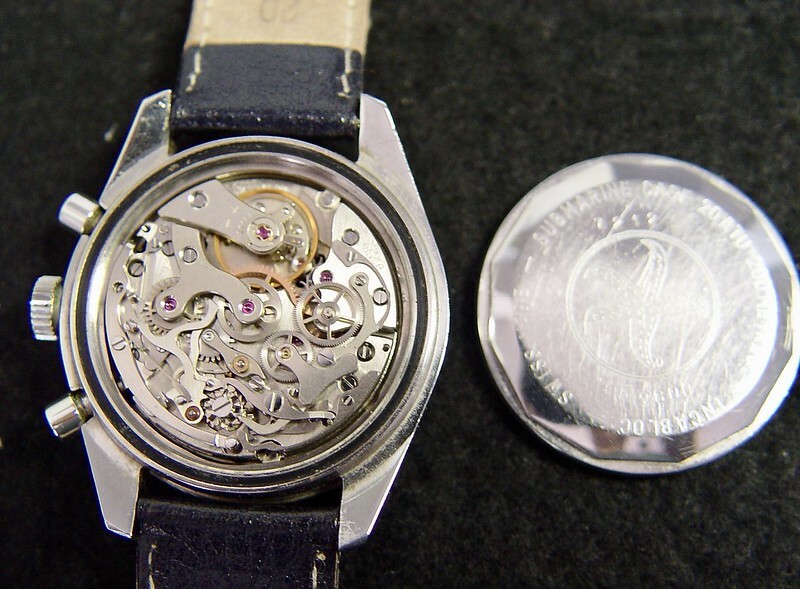 Some normal wear to the case and bezel. Dial, hands and markers are all in very nice condition. 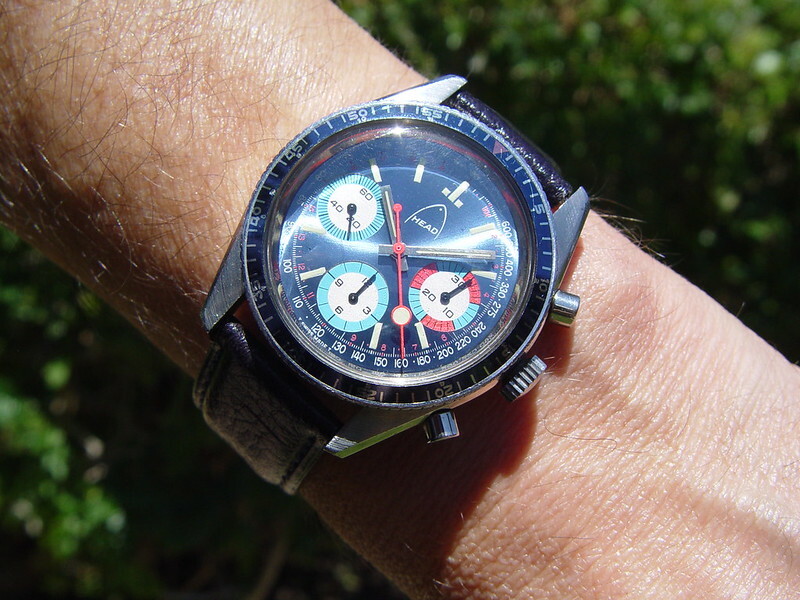 A unique, one of a kind Chronograph with a famous brand name. Pretty awesome and special. Asking. $ 3'300 inclusive domestic and half off international shipping out of SoCal. Looking forward to your questions and interest.